I've taken the plunge! I have started knitting my first sweater. It is a baby sweater -- hopefully Porcupine will be able to wear it. The pattern is called "Baby Boy Five Hour Sweater", which is a pattern that Nancy from Of Wool and Loveliness recommended. It's going to take me a lot longer than five hours, but that's alright. Despite the fact that I am on gauge, I am dubious that it will actually end up newborn sized, although only time will tell. Obviously, it's still pretty early in the knit, but it appears rather large to me. (There were others who had the same problem when I looked through the various Ravelry notes, but I didn't want to change anything on the first sweater I made.) How did your first sweater turn out? Was it wearable? 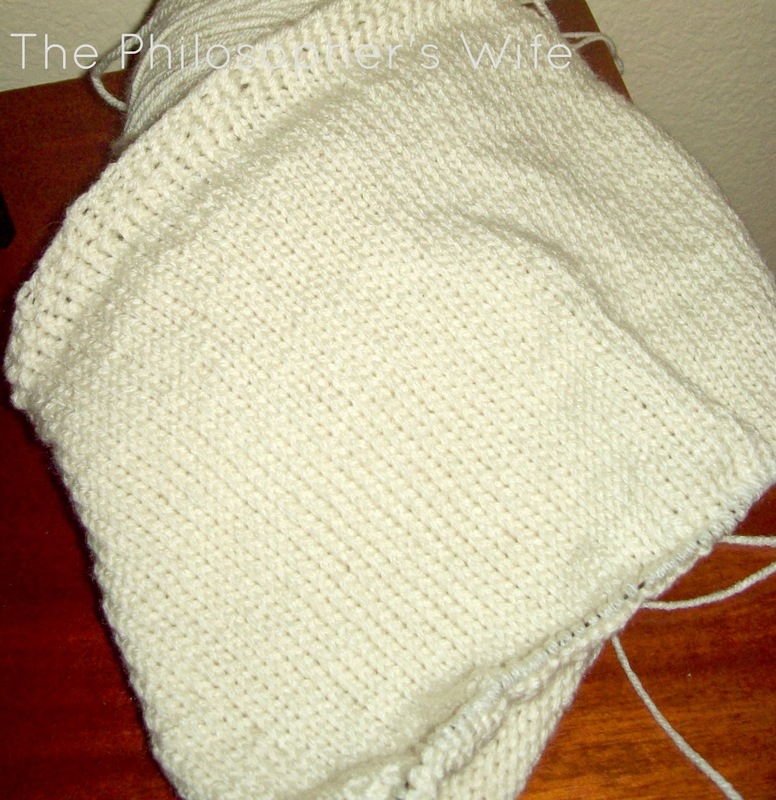 I am still knitting away on Catherine's poncho/cape. 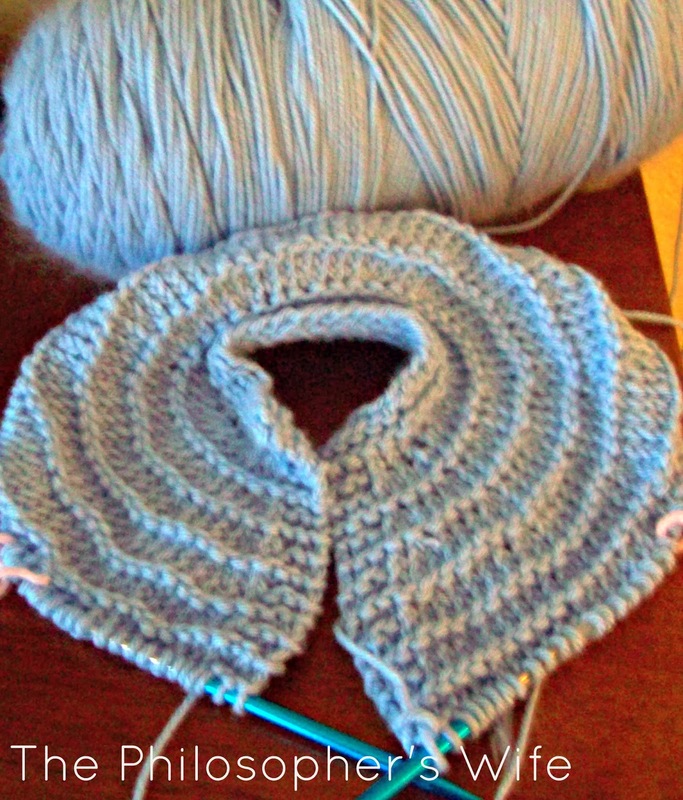 I am trying to decide if I want the bottom edge to be a seed stitch, to match the top, or if a rib would be better. I think I'd prefer the look of the rib, but does it really make sense to have two different types of edging on a small garment? Probably not. What do you think? 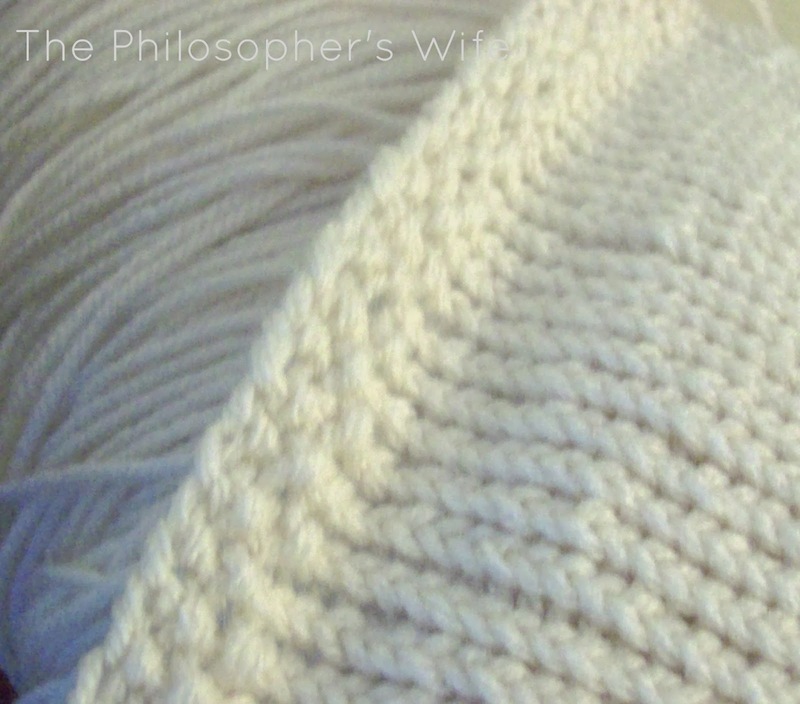 Seed stitch or ribbing? 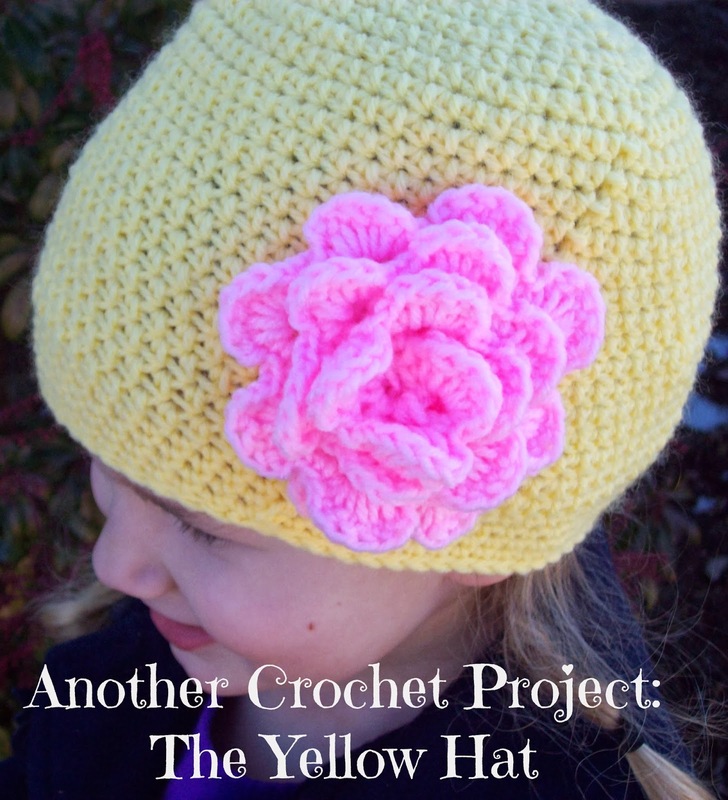 I finished The Yellow Hat that I had started crocheting last week. My favorite part is the pink rose. (Here's the pattern!) It makes the hat seem equally appropriate for cool spring days as frigid winter days. 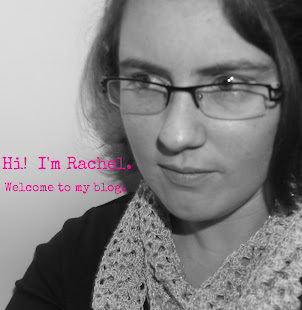 Your blog and projects are wonderful! Thanks for sharing. My first sweater was a disaster! It was too little for me and too big for my grown daughter. It ended up at Goodwill. I have knitted that jumper too it took me more than five hours as well! It fitted a newborn, they grow quickly so not for long! I have just frogged the first jumper I made and am using the wool to knit something else. It fitted but the style was wrong for me so I never wore it. My first sweater was a yoked sweater as well! Both of my daughters have used it, it has been great. I'm looking forward to your review of this one. My first adult sweater was a little misshapen but wearable. I think with your knowledge and the pattern that you picked, you'll be fine. I love your other projects, you're becoming quite the knitter!